When the Cincinnati Reds drafted Ryan Hendrix in the 2016 draft out of Texas A&M there were two things that were very apparent. The reliever had big time stuff, and a problem throwing strikes. In his junior season he posted a 6.39 ERA in 25.0 innings with 20 walks and 36 strikeouts. Once he got into professional baseball, things improved. 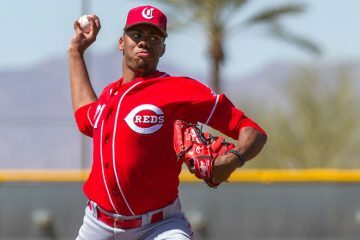 His first taste as a pro saw him threw 35.1 innings with 13 walks and 36 strikeouts with a 3.57 ERA. Things got better the following season for Ryan Hendrix in his first full season. 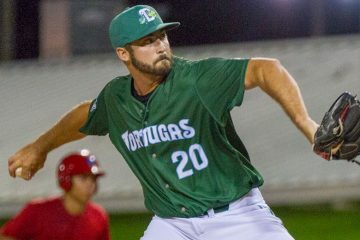 During the 2017 campaign he split his time between the Dayton Dragons and Daytona Tortugas. Between the two stops he threw 62.0 innings with a 2.90 ERA, 29 walks (3 intentional) and he had 88 strikeouts. He also picked up 8 saves during the season. In 2018 things got even better. 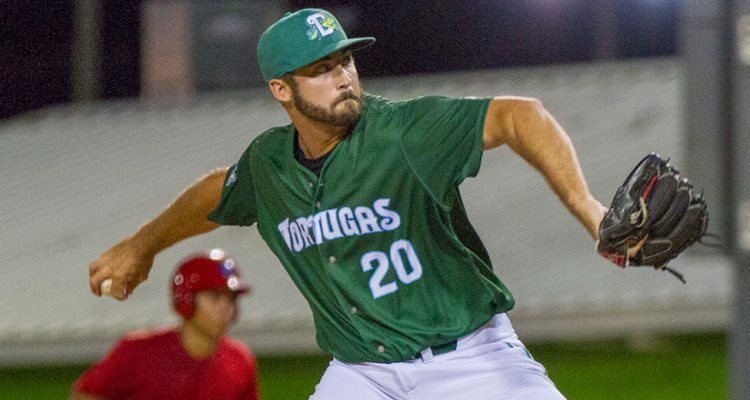 Ryan Hendrix spent the entire season pitching out of the back of the Daytona Tortugas bullpen. He threw 51.0 innings with a 1.76 ERA over his 44 appearances. He also picked up 12 saves to go along with 26 walks (2 intentional) and he had 79 strikeouts. Things, however, were a bit of a tale of two halves. From April through June, Ryan Hendrix posted an outstanding 1.47 ERA in 30.2 innings pitched. The ERA sticks out for how low it was. And the strikeouts he had, 43, also stick out for how many there were. But, so did the walks. He handed out 19 free passes in that span. The control was an issue, but he was able to work around it frequently because he kept the ball in the yard (1 home run) and missed so many bats. From July through the end of the season things were the same, but also a bit different. Hendrix posted a 2.21 ERA in 20.1 innings pitched. That’s a bump up from where it was, but still a dominant number. The strikeouts remained very high, too. He faced 86 batters and struck out 36 of them. And his home run rate remained minuscule – allowing just 1 in the second half. All of that was the stuff that was the same. The difference was the walks. And that difference was huge. 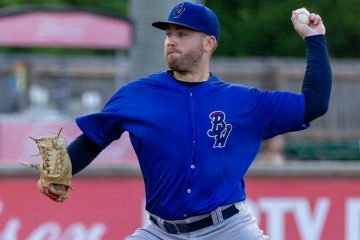 Ryan Hendrix walked just 7 batters, and 3 of those came in one game on August 25th. It was a huge step forward. Among relievers in the organization Ryan Hendrix was among the leaders in a few categories. His strikeout rate of 36.2% was easily the best in the organization, topping the next closest guy by 4.4%. His ERA of 1.76 was also easily the best in the organization, topping the next best rate by 0.58. Hendrix also finished 5th with 12 saves. Tanner Rainey with lesser stuff but more control. Still not enough control to work in the majors but hopefully will improve. Big step next year. He moves to a more neutral league and A+ to AA is a big step up. If his control does not improve the HR will hurt him. The difference between Rainey and Hendrix for me is that Hendrix seems to be improving his walk rate whereas Rainey has kind of consistently gotten worse as he has moved up. Whether that is due to better hitters or tighter strikezones I am not sure. One other thing I noticed is that Hendrix seems to be better at keeping the ball from going over the fence (.80 HR/9 vs .35 HR/9) which was a huge problem for Rainey at the ML level. Just my thoughts.